We are a group of residents and kama'āina from Kīpahulu in east Maui dedicated to the cultural sustainability of Kīpahulu moku (district) through the perpetuation of traditional Hawaiian practices from mauka to makai (from the mountains to the sea). Prized by Hawaiians for its fertile lands and waters, Kīpahulu sustained a population of thousands for generations. 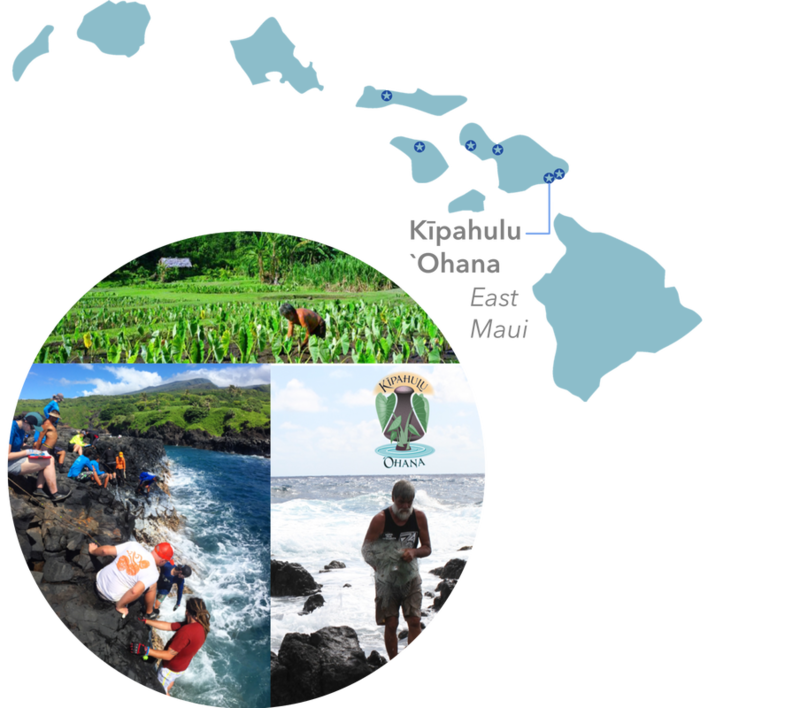 But in a small subsistence-based community, increased accessibility to our shorelines and a decline in traditional Hawaiian management has led to a well-documented decrease of our resources such as ‘opihi, limu, and fish that the ‘ohana of Kīpahulu rely on for sustenance. So in 1995, a small group of Hawaiian residents formed Kīpahulu ‘Ohana to revive and promote traditional and cultural practices to reverse this trend and restore abundance in Kīpahulu. One way we are working to restore these resources is through the establishment of an 'opihi rest area along the public access coastline of Haleakalā National Park. By voluntarily resting our harvest, we are ensuring food for the future and perpetuating our culture. In order to establish rules that support Kīpahulu's place-based traditions and culture and develop a collaborative management plan, Kīpahulu ‘Ohana has formally invited the State Division of Aquatic Resources (DAR) to designate Kīpahulu moku’s nearshore waters as Community-Based Subsistence Fishing Area, and we are currently pursuing our CBSFA application. Check out our website and follow us on Facebook, ​Twitter, and Instagram. Follow Kīpahulu 'Ohana on Facebook!